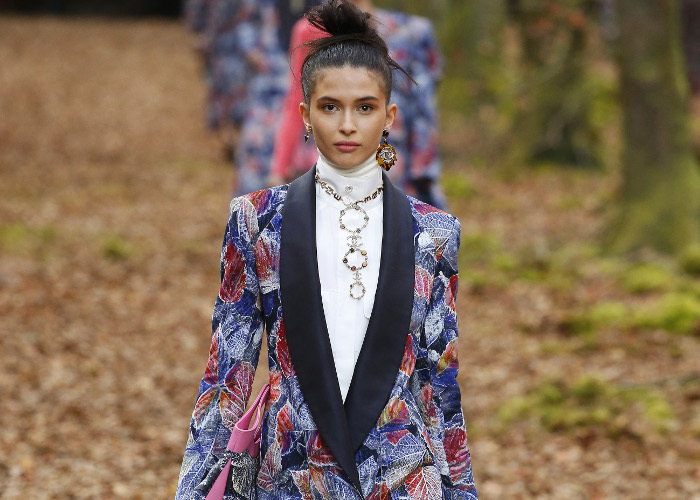 Karl Lagerfeld took his audience into the woods for Fall 2018. The Grand Palais was transformed into a romantic forest in autumn covered in tons of fallen leaves. See the biggest highlights from Chanel’s Fall 2018 show in this video.